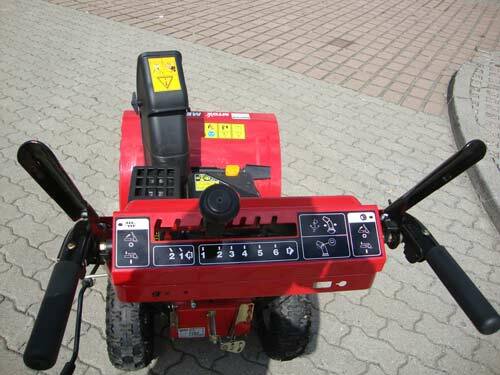 849,00 EUR 19 % VAT incl. 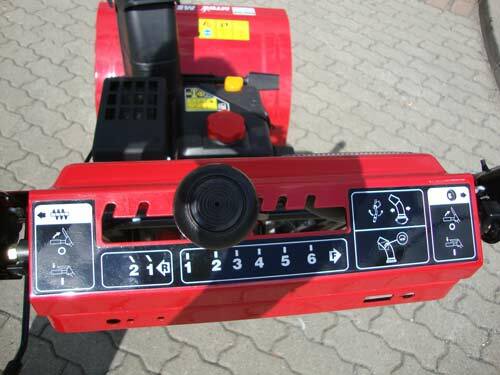 This snow thrower is a German quality product. 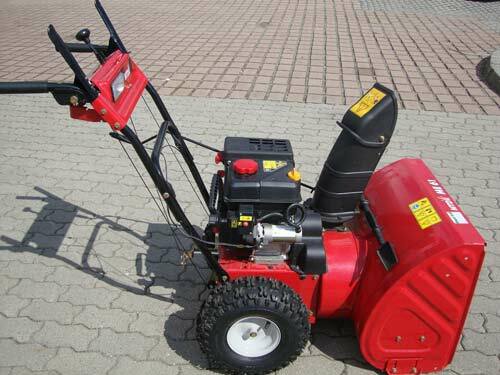 MTD offers a complete line of snow blowers. Easy to use, powerful, proven and robust, designed for daily use - where performance and convenience are required in the private use. 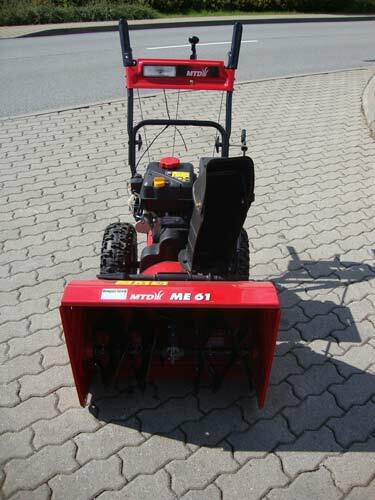 The new MTD snowblower ME61 is equipped with an instrument panel as well as with 6 forward gears and 2 reverse gears. The gear lever on the dashboard simplifies operation. The operation is very easy and simple tailored for the user. 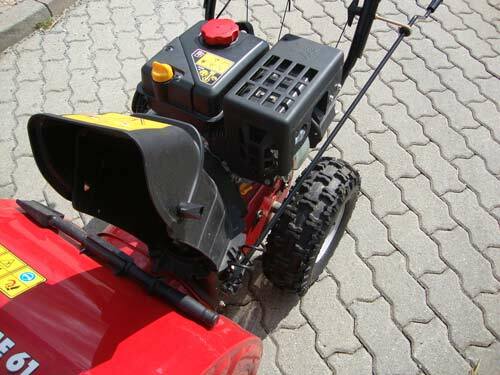 Thanks to its stable clearing housing and easy-start motor, this snow thrower is the No. 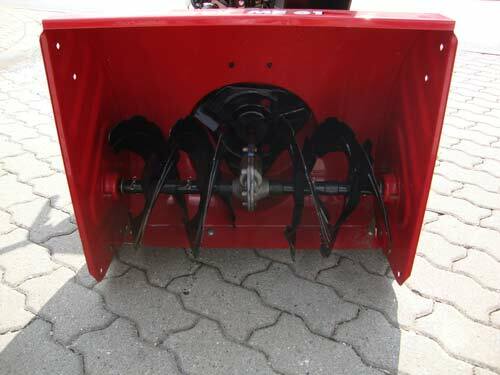 1 compact snow blowers. The auger transports the snow in the rotor, which transports it through the chute to the outside (2-stage). 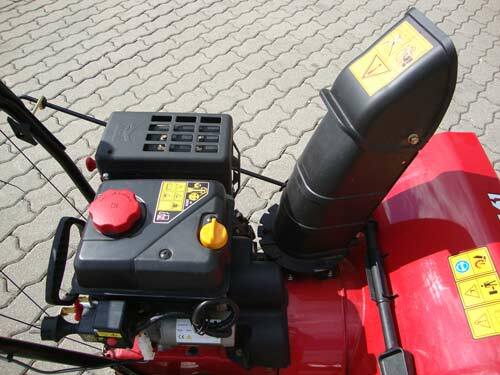 The separate wheel drive ensures an independent drive of the auger. Thus, the clearing capacity is not affected. The auger is divided and secured by shear bolts. Wheels with deep-tread tyres made ​​of soft special rubber guarantees first-class moving and traction in normal terrain. 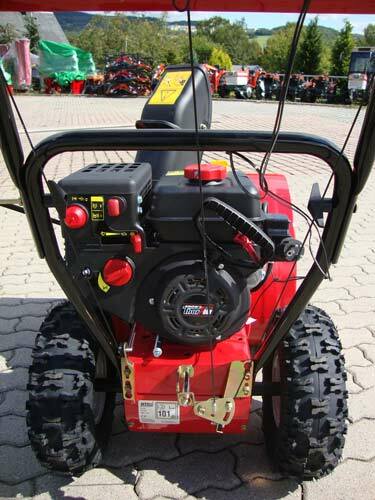 Snow Thorx 70 4-stroke OHV engine.